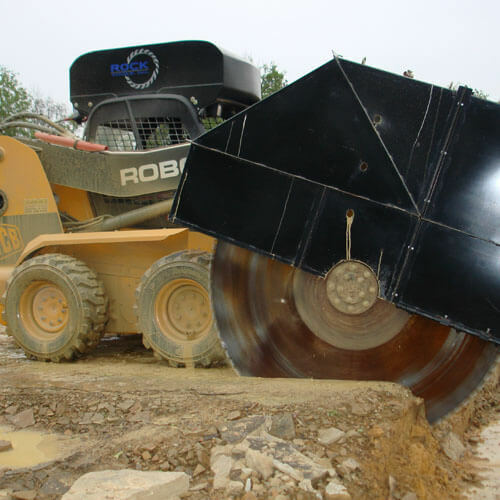 Rock Tools Attachments manufactures and distributes rock saws, concrete saws, sieving buckets, screening buckets, rock grinders, and crusher buckets. We’ve manufactured demolition and excavation attachments since 1985, and our years of experience serves our customers well. 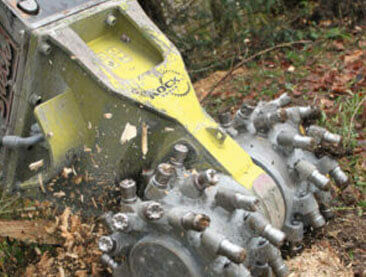 Our saws are designed for the most difficult of excavation and cutting. Sieving, crushing and screening buckets for any job. 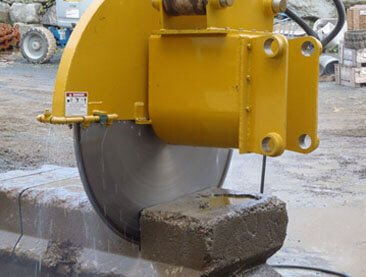 Rotary-cutting rock grinders for precise rock and concrete cutting. 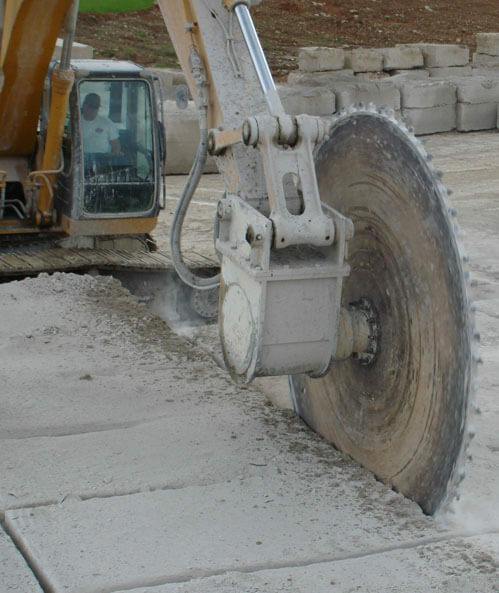 Rock and Concrete Saws Specialists in manufacturing and distributing rock and concrete saws, rock grinders, screening buckets, and crusher buckets. Our saws can be customized to cut steel, ductile iron, aluminum and other ferrous and non-ferrous metals including fiberglass. Our long experience of over 30 years will fit the right tool to your application. Manufacturers of Rock Saw, Rock Grinder, Soil Mixer, and Concrete Saw excavator and skid steer loader attachments. Our special projects division designs and manufactures Excavator Saws to cut aluminum, cast iron, steel, and many other types of material. 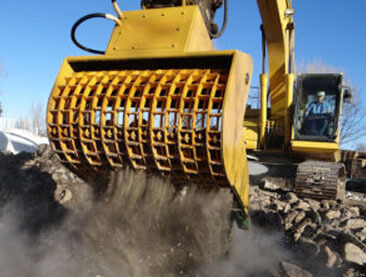 With offset and long-reaching extensions, our rock saws and rock grinders can cut parallel to the carrier excavator or skid steer and reach deep underwater into otherwise difficult or dangerous areas of your project. If your job requires you to cut vertically or horizontally in cast iron, rock, concrete, aluminum or most any type of material our manual or hydraulic rotators enable the rock saw, rock grinder or concrete saw to rotate 360 degrees in seconds. We manufacture specialty excavator attachments and skid steer attachments which can be adapted to fit your existing heavy equipment and customized to suit your project.